I've always been a sentimental kind of jackass. Be it doodads, fond memories, or the rotting corpses of my fallen enemies, I tend to hold on to bits of my past. One big area is the music I listen to. I didn't start out with full-on blazing metal. In fact, I was knee deep in the realm of hair bands before The Big 4 of thrash metal showed me a new perspective. However, I still can listen to some of the cheesy 80's stuff and listen to it while enjoying it unironically. Then I got older, and I got into grunge, and I held on to some of that as well. Namely my appreciation for Soundgarden and Alice in Chains. We'll just forget Chris Cornell has a solo career for now. Then nu-metal popped on in, and some of that I still hold close. Drowning Pool? Fan. Static-X? I dig 'em! Limp Bizkit? Well, let's not go too far. It seems like a bit of that feeling is beginning to seep into the modern metal consciousness and created a new genre call "nu-metalcore." I gotta tell ya, some of these bands just aren't worth the money that gets pumped into them. Five Finger Death Punch? No thanks. 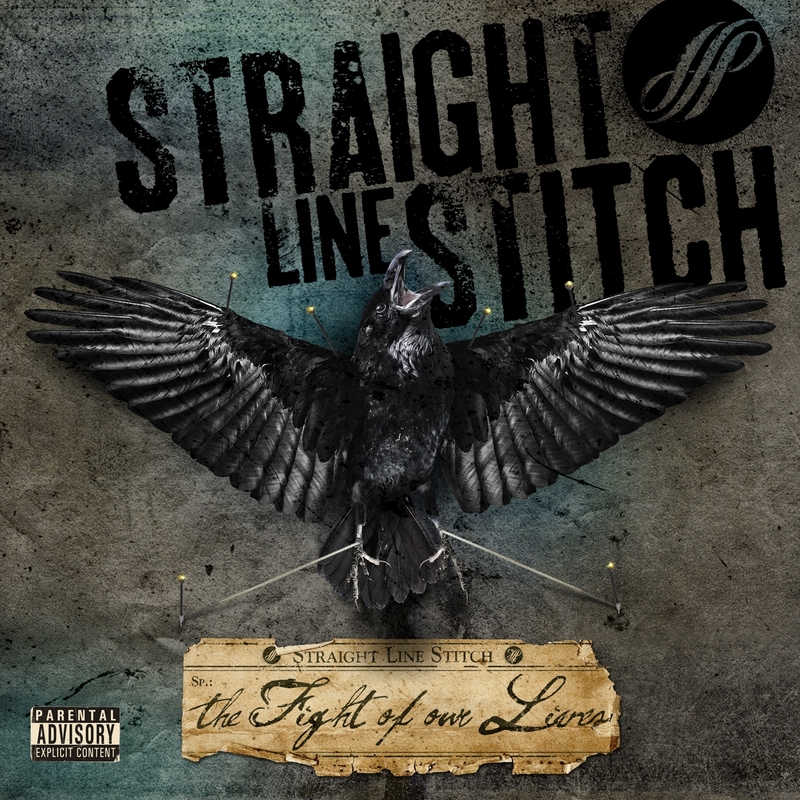 However, I have listened to Straight Line Stitch's new release, and I have been much entertained. The main thing to remember about SLS's The Fight of our Lives is that they're not breaking any new ground here. No wanky or djenty guitar solos, no super techy drum tricks, and no 20-minute progressive opus examining life and the infinite universe. Hell, the longest track on the whole thing is four and a half minutes, but that's part of the charm. Even lacking those things, The fight of our Lives is still a very fun listen, with "fun" being the opportune word. The music itself echoes the 90's nu-metal area effectively, especially the down-tuned guitar work. Throw in the occasional breakdown, and you have your "core" label ready to go. Female vocalist Alexis Brown throws her own spin the female growl and clean lyrics, with the best balance being on the second track Conversion. The second half of the cd does tend to go toward a softer angle, with the final track, Ashes in the Wind, being a full-on ballad. My evil metal senses tend to favor the first half, but the melodic fan will appreciate the slower pace of the second half. I have to reiterate that the Fight of Our Lives is a "fun" listen. It's not going at a million miles an hour, nor should it. 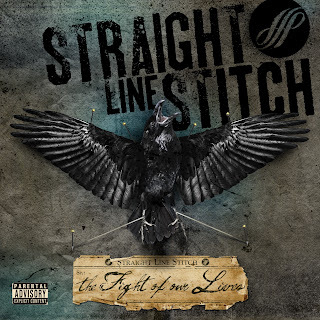 Straight Line Stitch sound like they know their audience, and they can hold off on putting blast beats in there every few seconds. They just want you to have some fun with their music, and there ain't no damn problem in that.